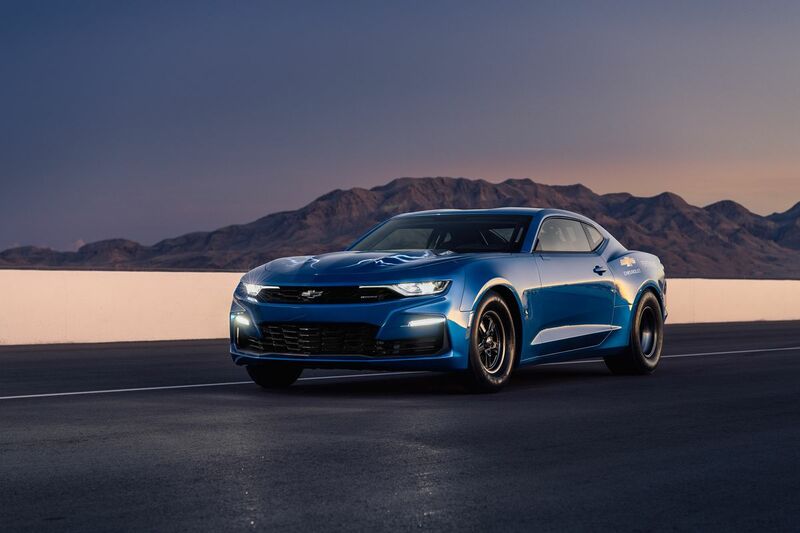 GM made a fun surprise announcement at this past week’s Specialty Equipment Market Association (SEMA) trade show: an all-electric Chevrolet Camaro concept with 700 horsepower meant to bust out a quarter mile run in about nine seconds. And unlike EV performance cars like the NIO EP9 or the upcoming second-generation Tesla Roadster, which are purpose-built, the Camaro concept appears to be a beautiful, cobbled-together Frankenstein’s monster of a car. 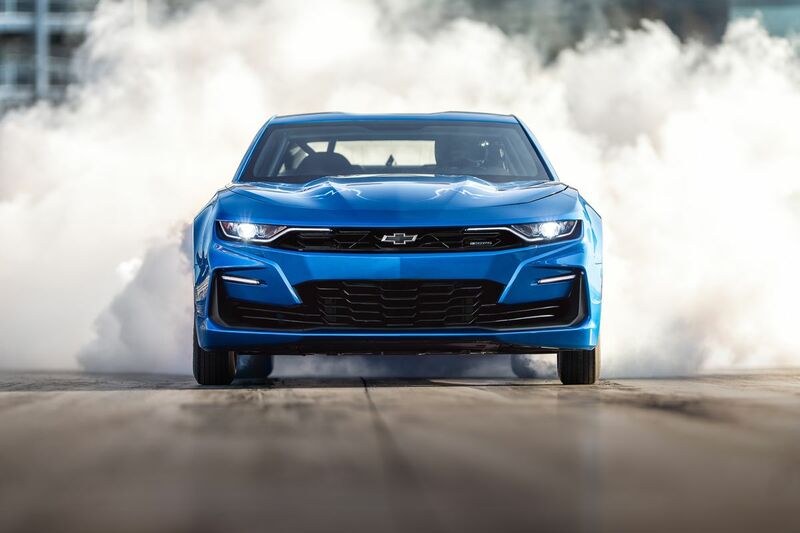 The car, dubbed the eCOPO Concept (after the original COPO Camaro special order performance models from the late 1960s) looks like any other modern Camaro from the outside, even in electric blue paint. Inside is much different. For instance, the eCOPO is powered by a combination of BorgWarner electric motors, which are the same ones used in these Daimler electric trucks. The motors draw power from an 800-volt battery pack, which is twice as much as you’d find in a Chevy Bolt. But the eCOPO doesn’t use a “skateboard” style battery pack that takes up the whole floor of the car, which is pretty much the standard for EVs these days. Instead, the pack is split into four 200-volt modules that are tucked into different spots around the car’s frame: two sit in the rear-seat area, and two are in the trunk, with one over the rear axle and one taking up the spot where the spare tire usually goes. GM says distributing the mass of the batteries like this helps improve performance on a drag strip, as it gives the car a 56 percent rear weight bias, which helps on launch. But it also shows how much of a sort of clever workaround effort this was on the part of Hancock and Lane, an electric drag racing team that helped Chevy build the car. GM’s brands aren’t involved in any of the current EV racing series like Formula E, but the eCOPO might be a sign that they’re thinking about it as the company moves its fleet toward hybrid and electric power. And they’re approaching it in an interesting way that might make electric racing a bit more accessible. Perhaps most important, Tatarevic says, is that the housing for the electric motors matches that of GM’s combustion LS motors, which are supremely popular. This “offers an opportunity for other race cars to adapt the same system if they decide to offer it as a crate package,” Tatarevic says, theoretically making it easier for people to explore EV drag racing beyond just bringing their Tesla to the track. The eCOPO is far from the first muscle car that’s been retrofitted with electric power. Three years ago we met a man who turned his 1968 Ford Mustang into an 800-horsepower electric monster. A Maryland-based company called Genovation recently transformed a modern Chevy Corvette into a similarly powerful EV. Seeing a company support the effort to make a car like this, though, signals that there’s interest in electric racing beyond purpose-built solutions like Formula E’s cars.